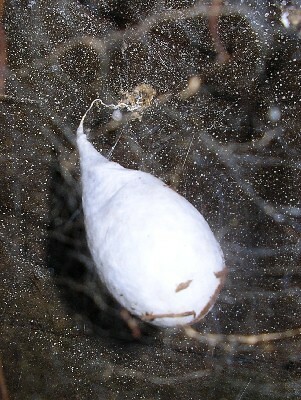 Egg case of Tasmanian cave spider, Hickmania troglodytes, in Lyrebird Gully on Arthur's property at Francistown. 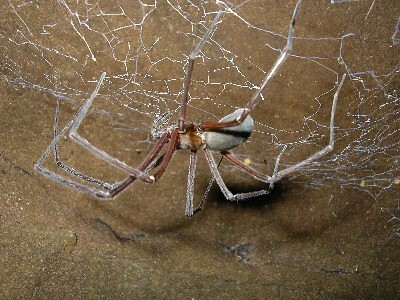 Cave spider Hickmania hanging from its web by night under a sandstone outcrop in Lyrebird Gully. 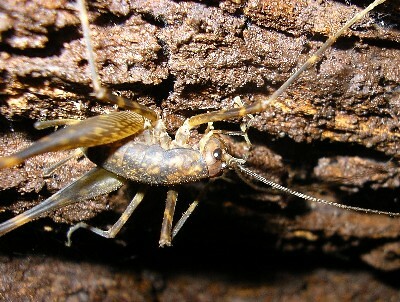 Cave cricket Micropathus kiernani at night-time, on the underside of a log in Lyrebird Gully. 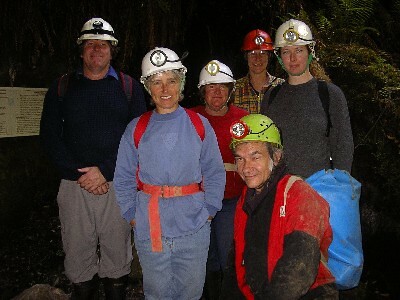 About to enter Mystery Creek Cave. 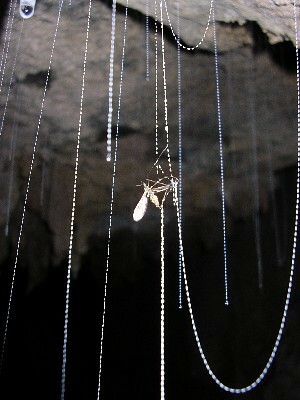 Glow-worm threads with sticky droplets dangling down 'fishing' for prey. The ensnared mayfly was being hauled up as we watched! 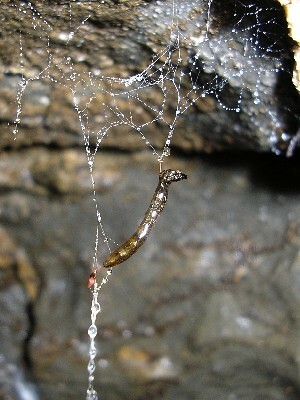 The glow-worm lava suspended from its network of ceiling threads, and hauling up its 'fishing line'. The tail end of its body glows in the dark, attracting flying prey insects. 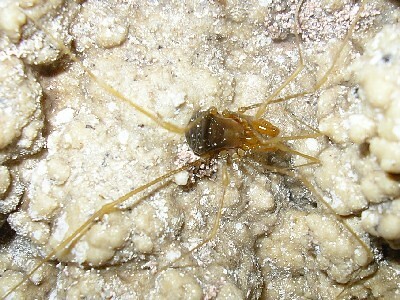 Cave harvestman Hickmanoxyomma caviticum is the top predator. 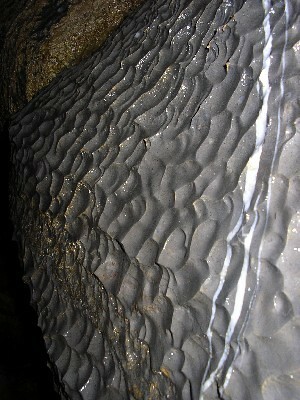 A 'scalloped' area of limestone cave wall, eroded by flowing water under pressure. 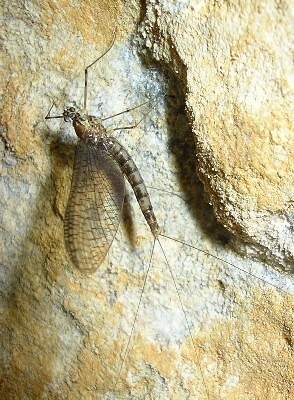 A mayfly (Ephemeroptera) resting on the cave wall.